Do you feel like the world is closing in around you, and you want to hide and find a place where you can be alone? 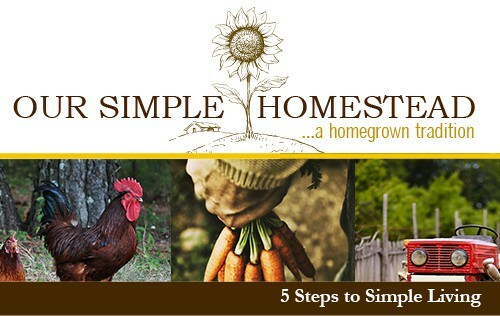 Signup here to receive your free download of 5 Steps to Simple Living today! That was us six years ago! We are sure you will enjoy it, but if not you can unsubscribe at any time. If you are visiting for the first time and don’t know anything about who is writing this let me introduce myself to you. My name is Tracy Fredrychowski, and I live in central South Carolina with my hubby and a barnyard of animals. We left our corporate jobs in the city and retreated to twenty acres out in the middle of nowhere. Our little homestead is surrounded by pine trees, chicken farms and lots of sandy soil. We live a very simple lifestyle by the grace of God and couldn’t be happier. Enjoy your simple living guide and if you have any trouble with the download, feel free to contact me at [email protected], and I will make sure you receive it.